Mitsubishi Electric Hydronics & IT Cooling Systems, through its brand Climaveneta has supplied the air conditioning units to the new Lavazza HQ, rising from a refurbished power plant in the city centre of Turin. 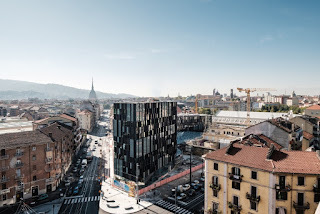 The complex consists of a new building, designed by Cino Zucchi Architects and the renovation, still in progress, of the historical building of the power plant, which will become an event space with restaurants. 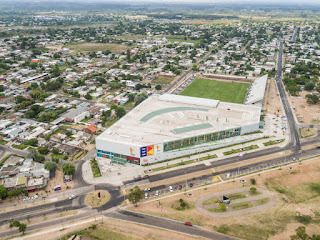 The new building has sinuous forms which recall those of a cloud, and is linked to the Lavazza Museum through a large atrium this creates new pedestrian spaces which opens into the neighborhood. The environmental respect is evidenced by the decision to certify the new development in accordance with LEED requirements, the most popular building certification protocol in the world. Several design choices have been taken to improve the energy performance of the new business center of about 25-30%. The most significant ones are the production of heating and cooling which exploit ground water; the choice of a primary air system based on radiant ceiling panels, the air-treatment with high efficient heat recovery system, the photovoltaic system for the production of electrical energy, and the LED lighting system capable of maximizing the natural light reducing the consumption of electricity. The comfort inside the buildings is granted by Climaveneta high efficiency multi-purpose heat pumps. Specifically, there are 3 ERACS2-WQ 2502, 1 WW-HT 0202 and 1 MANAGER 3000 serving the new building and 3 ERACS2-WQ 1302, 1 NECS-WQ 302 and 4 WW-HT to grant perfect comfort all year round in the refurbished one, for a total of 3.000 kW heating capacity.